I read Kewanee’s first book about seven years ago. It was good reading. And I recommend your reading it. 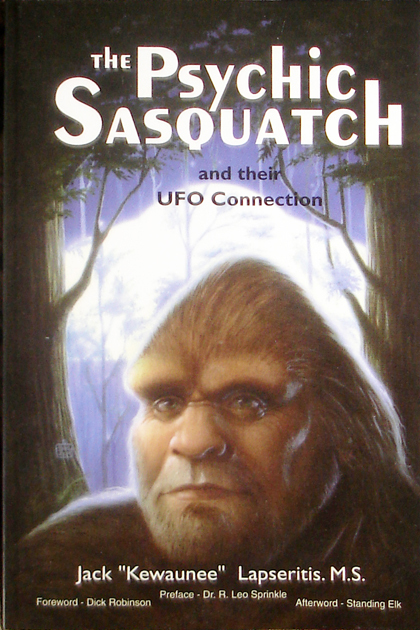 I just finished his second book, and I found the author has continued to report from other contactee’s their experiences with the Bigfoot. It is easy reading, and brings a whole new prospective to UFO’s & Bigfoot sightings as seen through his interviews. 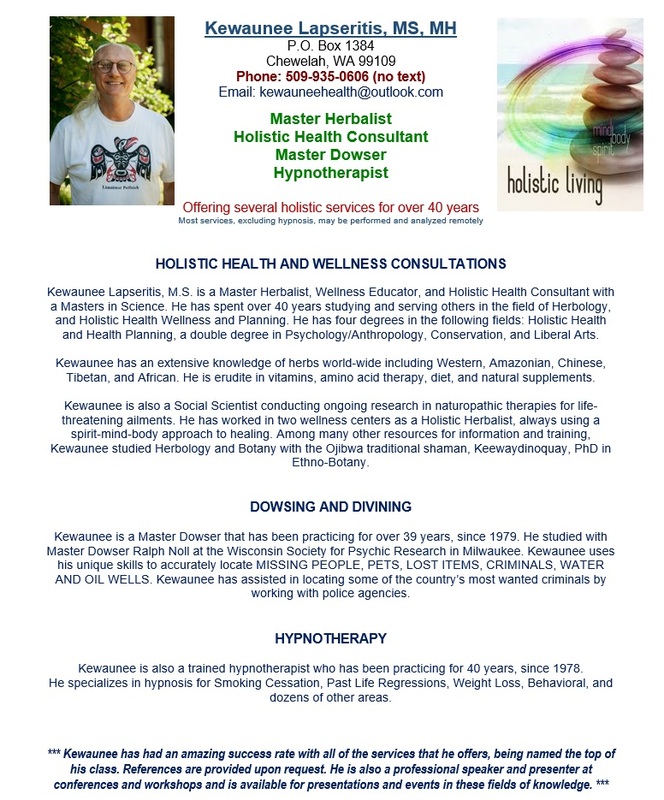 He talks about being able to teach methods to communicate psychically with them. I’m looking forward to future books written by this author. I am very interested in Sasquatch! 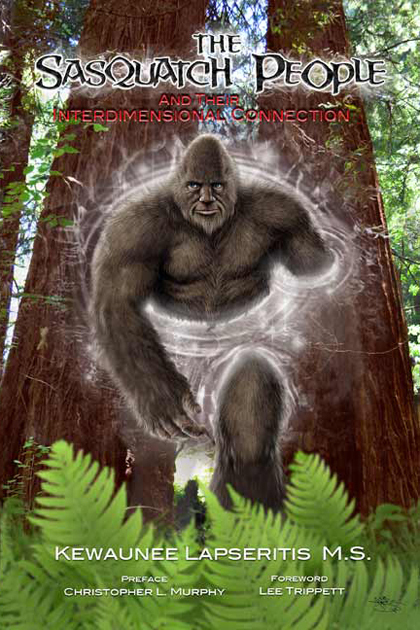 I had a dream of it …i can see Sasquatch cloaked!!! Also other beings like dogman and many things in the woods !!! I have this ability to know whats gonna happen! If I close eyes I can find something lost!I had esp..for a longtime..very Spiritual…but lately obsessed with Sasquatch!! I mentally (telepathically try and ask to see them …and to ask for them to protect my daughter and Grandaughter who live in Upstate N.Y.!!! Up in Oswego county N.Y. about an hr. to Lake Ontario! She used to live in Syracuse N.Y. .Now she lives in a home with her baby and fiance’ …There home has 5 acres of rolling woods and waterways…I felt so Connected to Sasquatch up there! My daughter in broad day light ..house got robbed!! While she was gone only 45 mins! They have an alarm system installed…but before they came after this incodent was only a couple of days… (in between…i was a wreak! So I said to Sasquatch Please protect my daughter and grandaughter ..well that night my daughter said she heard banging on the back of the house!!! I felt it was them!!! She was frightened but (immediately I felt it was Sasquatch letting her(or me) know they were there!!!! …I am always thinking of them …i look on UTUBE..IVE TOLD EVERYONE THEY ARE REAL!! MY BROTHER LAUGHS (THINK I’M A NUT) MY HUSBAND BELIEVEs ME (IVE SHOWED HIM ENOUGH EVIDENCE) AND HES A HUNTER..”SO ANYTHING POSSIBLE” he says ! My 2 son’s dont..my one son maybe.my daughters fiance’ also hunter believes, And daughter I think does but is afraid! So I don’t talk about them being in her back yard from time to time! ..She is alone with my Grandaughter , so I don’t want her freaking out!..I have this Connection with Them…but I would love a deeper Connection (love to see them…even from a far!! They are so FASAN ATING TO ME!! SEEING THEM WOULD BE SO THRILLING BUT FRIGHTENING AT FIRST DO TO THERE EMENTS STATUE!!!!!! I TRY AND TALK TO THEM TELEPATHICALLY..ARE THEY INTERESTED IN ME..IS THAT WHY I HAVE THIS OBSESSION WITH WHO THEY ARE AS AN CANT PEOPLE!! I WANT TO COVEY THEIR MESSAGES….I AM FASINATED BY YOU ALSO AND THE WORK YOUR DOING HELPING THEM!! PLEASE TELL ME IF YOU HAVE A FEELING ABOUT ME…AND WHY IS SASQUATCH ALWAYS ON MY MIND!! I WOULD LOVE TO HELP HUMANITY..I PRAY ALL THE TIME FOR WORLD PEACE , FOR ,FORGIVENESS TO GOD I SAY “FATHER FORGIVE US ALL, FOR WE KNOW NOT WHAT WE DO!”” JESUS SAID THAT ON THE CROSS!!! I PAY FOR THE PLANET EARTH !!! WORLD PEACE,, NO MORE WARS! !…TURN BACK TO JESUS ! I KNOW THE SASQUATCH PEOPLE WANT HARMONY WITH THE EARTH, MAN IS LOST ,IN THIS WORLD OF GREED ….BUT THERE IS ALWAYS HOPE…..I KNOW SASQUATCH THEY ARE GENTLE GIANTS (THEY ARE GENTLE SOULS …TRYING TO HELP HUMANITY…I WOULD LOVE TO HELP …ALL MY LOVE TO SASQUATCH AND THANK YOU SIR FOR READING THIS…My name is ANNIE FROM N.J…IM A HOUSE WIFE 4 KIDS 4 GRANDCHILDREN 2 MORE ON THE WAY! I AM HANDICAPPED..I HAVE A RSD (REFLEX SYMPATHATIC DYSTROPHY) ITS THE MOST PAINFUL PROGRESSIVE NEUROLOGICAL DISEASE THERE IS!! IVE BEEN THRU SO MUCH…SO MUCH PAIN 24-7!! !..I HAVE ALWAYS HAD ESP BUT SINCE ..I HAVE GOTTEN THIS DISEASE ITS GROWN SO MUCH…I THINK IT HAS SOMETHING TO DO WITH BEING OPEN SPIRITUALLY , I AM SO MUCH MORE CONNECTED! THANK YOU MY PLEASE GET IN TOUCH WITH ME! CALL 848-448-0049..
Where to buy this book? I just find everywhere but it seems to be hopeless! 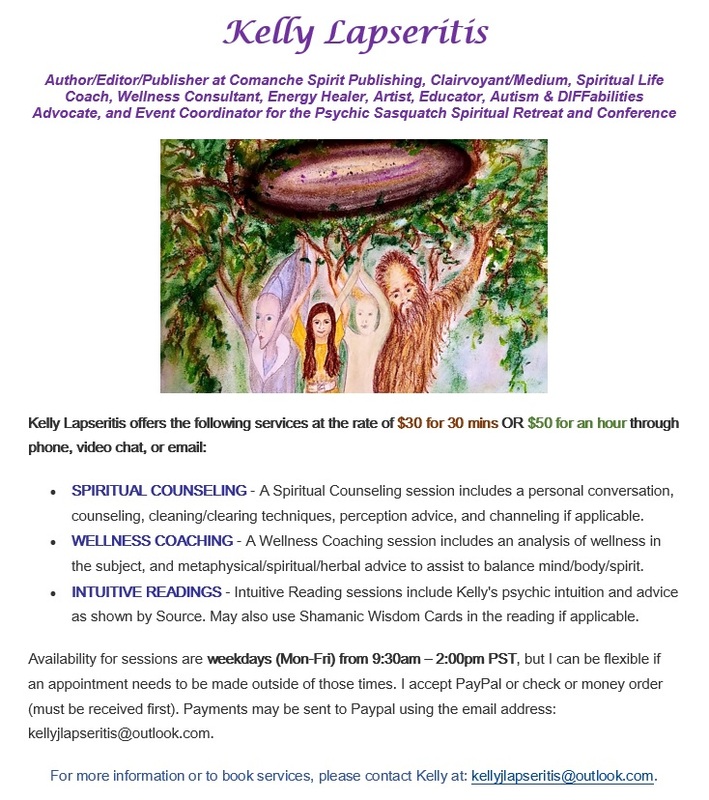 You can purchase it here on this website, http://www.sasquatchpeople.com (there is a separate tab at the top for each book) and you can also purchase them both at http://www.psychicsasquatch.com. They are also avaialable on Amazon, Kindle, Ebay, and other online channels. Omgoodness ,for years ive waited for someone who understands ..i am from Oregon , my property backed up to cascade mountains.I lived there over 25 yrs and under extreme divorce conditions was forced to sell .I cry still over leaving my hairy family .On going encounters years of them has made me a believer that my night time buddies are not from here..i miss them so .i am looking for an acre of land to put a tiny home on and i cant wait to send messafe and call them back to me..Anyways thank you ..I have many gifts the visitors are just one of several extraordinary happenings thru out my life..Yes Im a Star Child.